The American Academy of Pediatrics (AAP) recommends parents keep babies in the same room with them to sleep for the first year to prevent sudden infant death syndrome (SIDS). But room sharing between babies and mothers beyond the first four months is associated with less sleep for babies and unsafe sleeping practices the AAP is hoping to prevent, according to Penn State College of Medicine researchers. While room sharing can be justified for the first six months based on the fact that 90 percent of SIDS cases happen in this timeframe, Dr. Ian Paul, professor of pediatrics, said evidence was lacking for the 6 to 12 month recommendation made by the AAP, which also conflicts with infant sleep expert guidance. This lack of evidence led the researchers to address the question of the effects of parent-baby room sharing on sleep habits and quality for infants 6 to 12 months old. To study the association between room-sharing and sleep outcomes, researchers used data they had already collected from the INSIGHT study, which included 279 mothers who delivered at Penn State Health Milton S. Hershey Medical Center, and their babies. 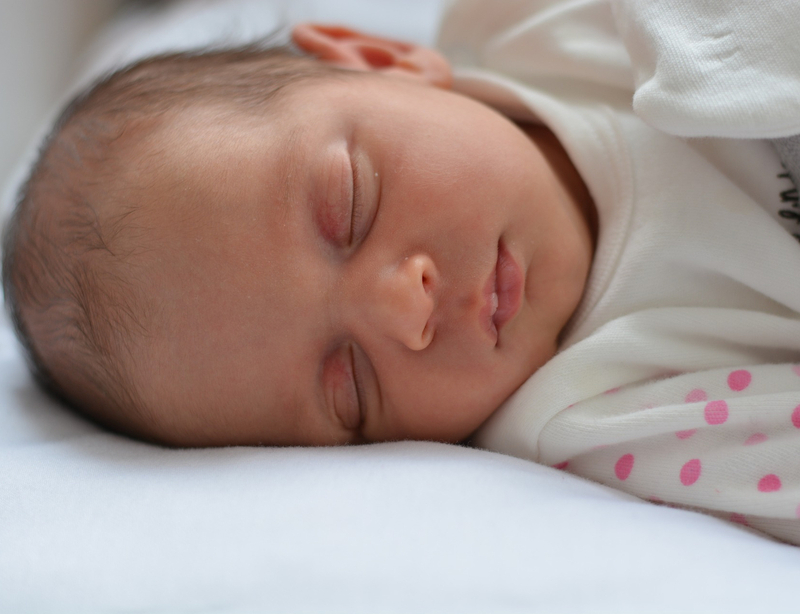 A questionnaire was completed by mothers when their babies were 4 and 9 months old and assessed sleep duration, location, night waking, night feedings, bedtime routines and sleep behaviors. Sleep duration, location and patterns were also assessed at 12 and 30 months. Paul and colleagues report their findings in Pediatrics. At 4 months, children who already slept independently in their own room averaged 45 minutes longer stretches of continuous sleep than those who shared a room with a parent. At nine months, the gap widened: those who learned to sleep independently by 4 months had sleep stretches that averaged 1 hour and 40 minutes longer than babies who were still sleeping in their parent&apos;s room, 542 minutes vs. 442 minutes respectively. Total sleep over the night was also greater for the babies who were in their own room. These early decisions by parents had lasting effects. At 30 months, babies who had room shared at 9 months slept, on average, 45 minutes less per night than those who were independent sleepers at 4 and 9 months. Room sharing also affected sleep safety. Babies who shared a room at 4 months were more likely to have a blanket, pillow or other unapproved object that could increase chances of SIDS in their crib than those who slept in their own room. Additionally, babies who shared a room were more likely to be moved into their parent&apos;s bed overnight at both 4 and 9 months old. Paul said the study questions the American Academy of Pediatrics&apos; recommendation to room-share for the entire first year. Paul said that parents should discuss this study and safe sleep guidance with their pediatrician and noted that breastfeeding outcomes were not different between groups at age 4 months and beyond. Limitations of this study include the study population being mostly white with a lower number of low-income participants. The recommendations may not translate into lower income homes that may not have a separate bedroom for baby. Other researchers on the study are Patricia Carper, clinical trial coordinator, Penn State College of Medicine; Emily Hohman, research associate, Jennifer Savage, associate director and Michele Marini, research technologist, Center for Childhood Obesity Research, Penn State; Eric Loken, University of Connecticut, Storrs; Stephanie Anzman-Frasca, University at Buffalo, and Leann Birch, University of Georgia.